This and that and other things..
Coming up this weekend (April 30th @ 9:00am HK time) 3A will release their long anticipated Supreme NOM Commander figure. Available in two variants, black (standard) and white (3AA exclusive) at $120 before 3AA discount. Early rumblings have been pretty polarizing with quite a few expressing their disappointment in her design while others love it so much they plan on purchasing both versions to join the ranks of their collection. For now, my interest in her is fairly low. Lady Sham was teased earlier this month and shares a similar body suite, the same hands and a great new head sculpt. For me, it makes sense to pass on Supreme NOM and toss that money at Sham when she eventually drops. 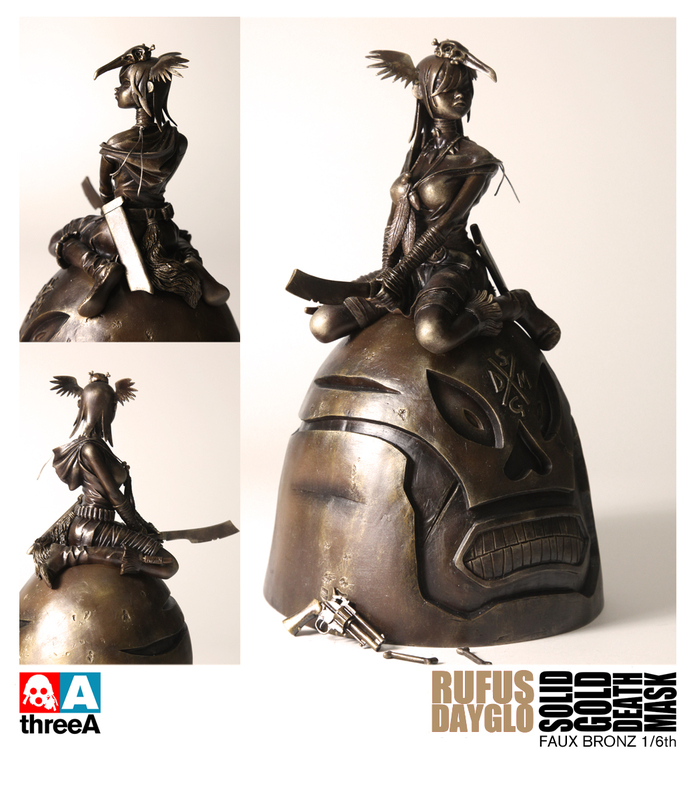 Rufus Dayglow is making his 3A debut with a wicked looking Faux Bronz statue from his Shiny Gold Deathmask series. No price or release info as of yet! Actoin figures based off of a quirky series about a violence inclined girl sauntering through various sorts of ancient Aztec-esque adventures? Frilly toothpicks? I’m for it! Can’t wait to see what Rufus and 3A conjure up next! Kotobukiya has teased a few of their awesome new Zone of Enders model kits on their facebook page. 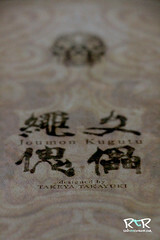 Being a big Hideo Kojima fan, Z.O.E along with Metal Gear Solid have a near and dear place in my video game laden heart. We hope to have a chance to do an early preview/review of their Jehuty Zone of the Enders HD Version before they hit retail in August. I’ll post more info as it comes! Another kit/series I’m excited to jump into is Kotobukiya’s Frame Arms. I don’t know much about them other than the few pictures I’ve seen online.. but I just love the look of this bot and can’t wait to see more! Keeping in line with my “must talk about anything Metal Gear Solid Related” personal mantra, Hot Toys has just released the first pics AND opened up preorders for their first to MGS offerings. Naked Snake and Boss. I’m actually a little let down from what I’m seeing in the pics. Boss looks like a man, both their suits look rather cheap and plasticky and I’m just not loving Snakes headsculpt. Too much emphasis on the creepstache. Plus, is it just me or are their heads to big for their bodies? Snakes looks the better of the two, but even he feels a little uninspired. Still, I can’t help but want to pick these up.. if only a little. Available at Sideshow and probably at your favorite online toy retailer for somewhere in the neighborhood of 175 bones. Alright, that’s all I got! More stuff later! Until next time. Really not feeling NOM or Sham to be honest. Just don’t dig ThreeA’s new female body. Those bots look very cool though. After the reveal of NOM Mother, my first reaction was “WTF is that?” and my second was “I am glad I don’t collect NOM stuff” It is a total pass for me. Lady Sham on the other hand looks great to me. The hands seem a bit weird in the photos but the overall look is pretty cool. I wonder if part of what’s “hurting” this design is the fact that we’ve never seen a painting or drawing from Ash depicting her in any way. I’d wager that if, like Lady Shame there were several pieces featuring her and her crotch canister.. the reaction would be very different..